Ferocious Red seems to be taking ethnic fashion by storm. 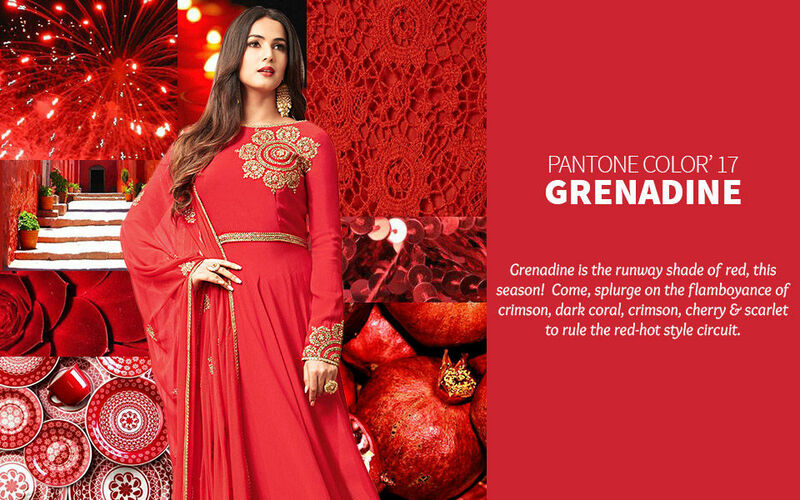 Red is adrenaline, blushing , passion and rage & is the most happening hue that lasts all season. Glittering cut out dresses in the shades of red (merlot, berry, jam, brick, vermilion, sangria, blood) are certainly spinning our heads. Be it in form of six-yards or contemporary silhouette, a red ensemble is a fireproof way to create a strong visual impact. Nothing can minify the power of red. Another added fillip? The sultry shade is mighty enough to complement almost all skin tones.